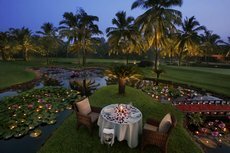 Sprawled over 75 endless acres in idyllic South Goa, the Leela Palace boasts a 12 hole, par 3 golf course for the aficionados. 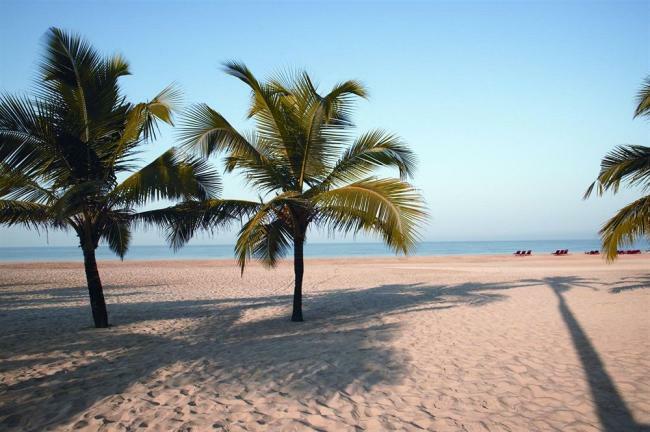 And if you prefer to unwind by not doing anything at all, you have the Mobor Beach pretty much to yourself. 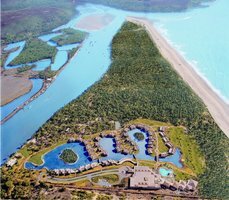 The bustling fishing village along the Sal River, to the south, offers a fascinating insight into how the lucky locals of Goa live. Being a luxury resort means that The Leela Goa offers you a choice of 186 rooms, suites and villas, as well as a host of dining options and leisure activities from one of the most desired Goa hotels. 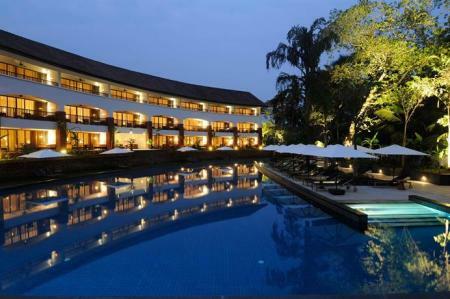 Add to this a state-of-the-art business centre and you have the perfect destination for a company conference too. 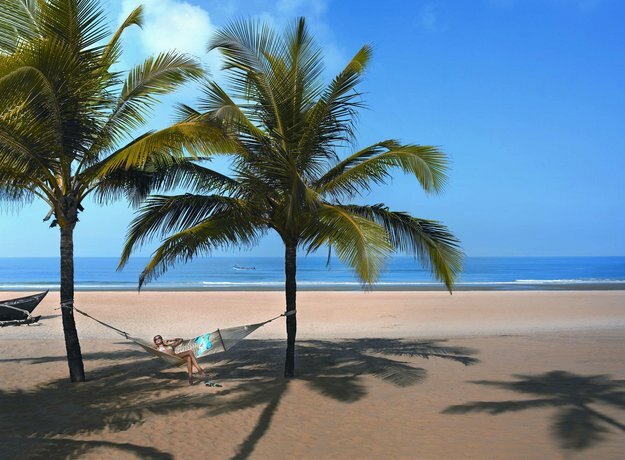 Enjoy the legendary elegance and breathtaking beauty of this renowned beach hotel in Goa, set against the backdrop of an intriguing fusion of colonial Portugal and modern India. 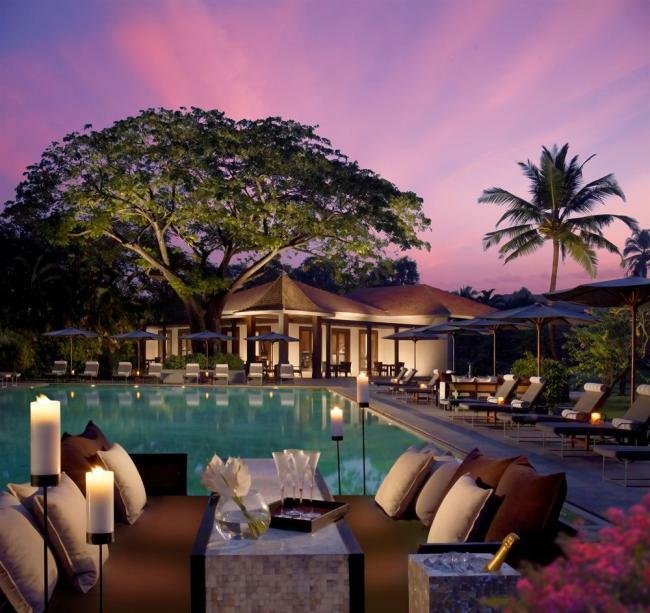 Dotting the 75 acres of lush gardens and sparkling lagoons, The Leela Goa is one of the most alluring 5 star hotels in Goa with 186 plush rooms and suites. 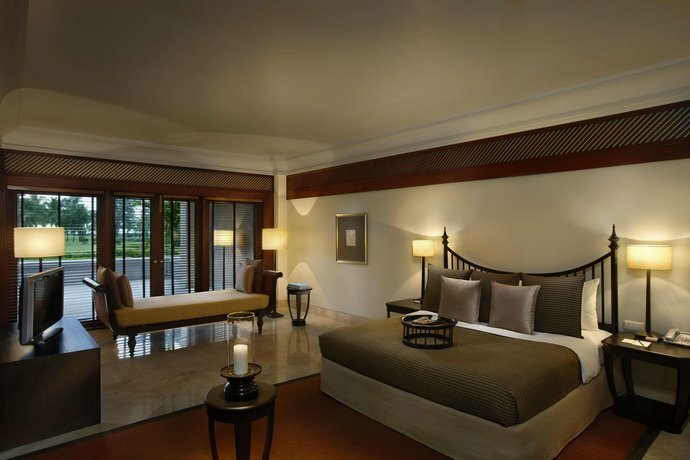 The rooms are spacious, elegantly furnished and come with central air conditioning, colour TV with satellite channels, DVD players and CD players, Wi-Fi internet connectivity and private balconies where you can enjoy a relaxing breakfast or a romantic dinner. 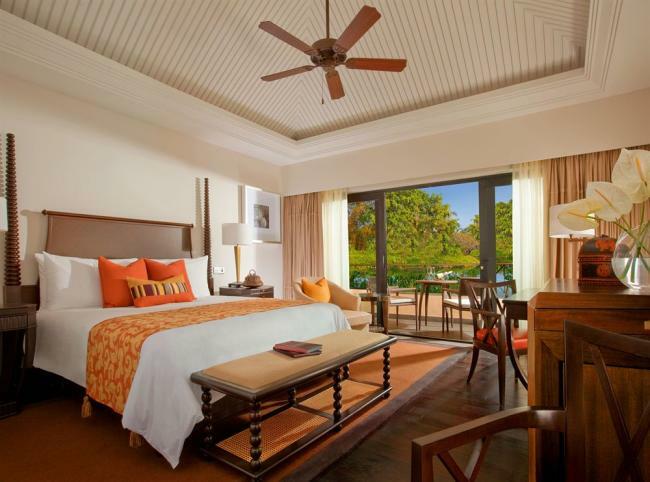 Conservatory Premiere rooms at The Leela Goa offer a mélange of modernity with the pastoral culture of Goa. Suites offer the rejuvenating experience of a spacious bedroom and a sitting room, overlooking the becalming lagoon with state of the art day-lit bathroom. 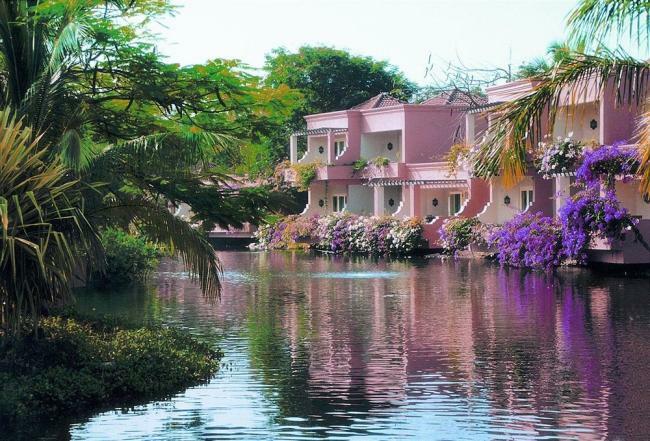 There are 42 lagoon suites at The Leela Goa. 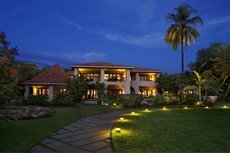 And each one recreates the Portuguese villa ambiance that Goa is famous for. 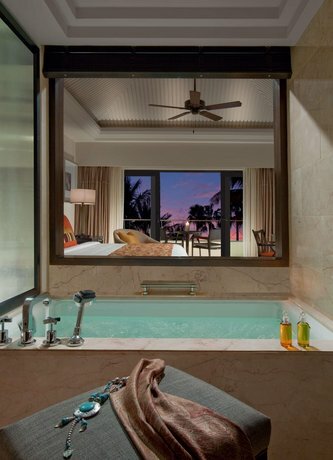 Suites offer a choice of one or two marble bathrooms with deep-soaking tubs, vanity sections and separate showers as well as a private balcony that overlooks the becalming lagoon. What would you call a 1000 sq. ft. of pure indulgence? 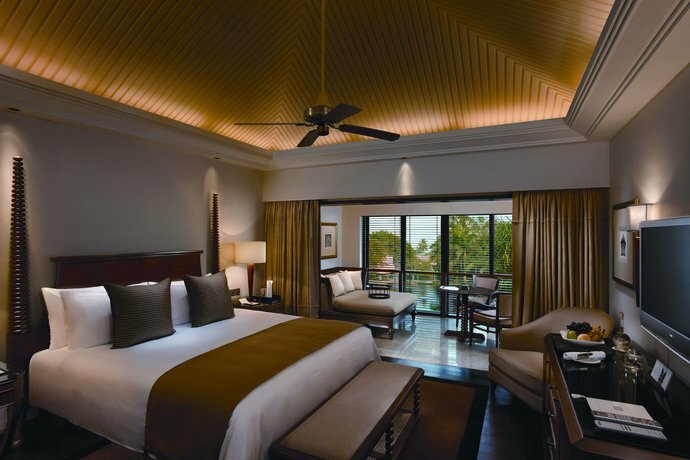 At The Leela Goa, they call it the Lagoon Deluxe Suite. 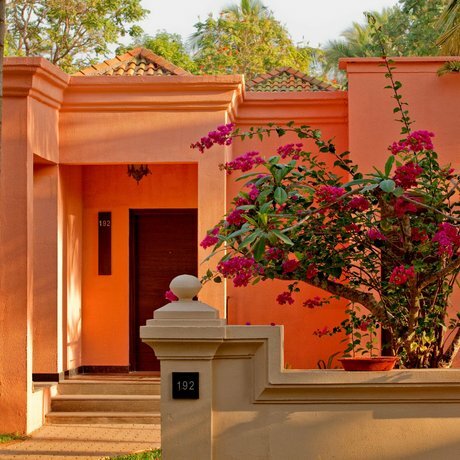 A private balcony for those private moments, two oversized marble bathrooms with deep-soaking tubs, vanity sections and separate showers.. the result is pure magic, Goa Style! 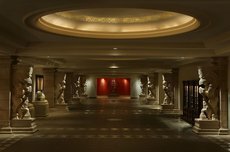 The Club Suites are set off to one side of the property. 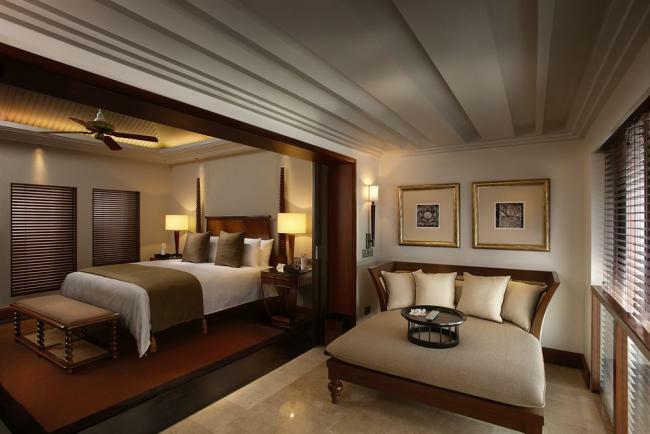 Apart from complimentary access to all the exclusive facilities of The Club, these one bedroom suites comes fully-stocked with everything you'd need without even having to ask. 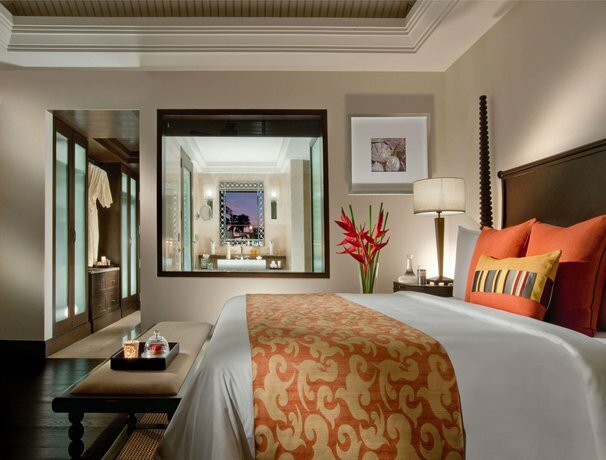 And in case you do need to ask for something, every room will have its own butler. Every suite has a private terrace or balcony as well as its specially-assigned butler. These Suites have recently been renovated in exotic contemporary design, and each of these offer a plasma TV in the living room , a flat screen in the bedroom, DVD player in both the rooms, 24 hr butler service, private lounge, one marble bathroom, one open bath area and swimming pool access. 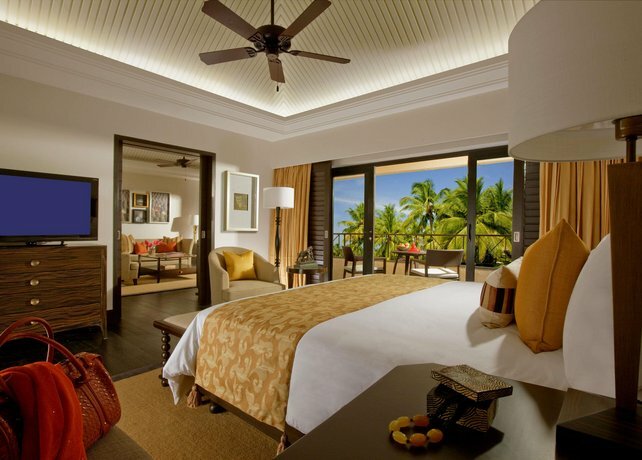 The living area is separated from the bedroom with two balconies and they have a partial ocean and golf course view. 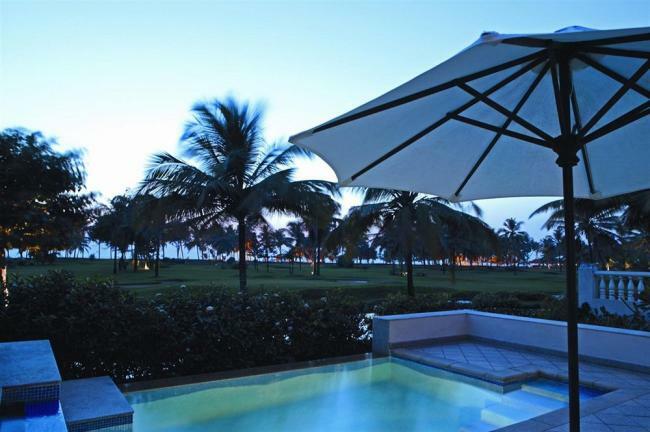 In addition, the Club Pool Suites also offer a private plunge pool. For a feeling of unrivalled indulgence, most recommend the Royal Villa at The Leela Goa. With a master bedroom and guest bedroom, en-suite bathrooms with Italian marble, double vanity counters, sunken baths, hot Jacuzzis and separate showers, living and dinning rooms, a private plunge-pool and terrace and views of the golf course and the ocean, you just can't go wrong. 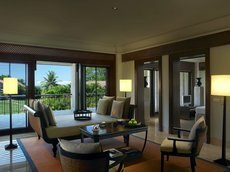 The Presidential Suite at The Leela Goa is bigger than most villas in Goa. Not surprisingly, this villa boasts a master bedroom, two adjoining bedrooms, a living room, a dining room with a kitchenette. Super-sized marbled bathrooms sport double vanity counters, sunken baths, and separate showers. 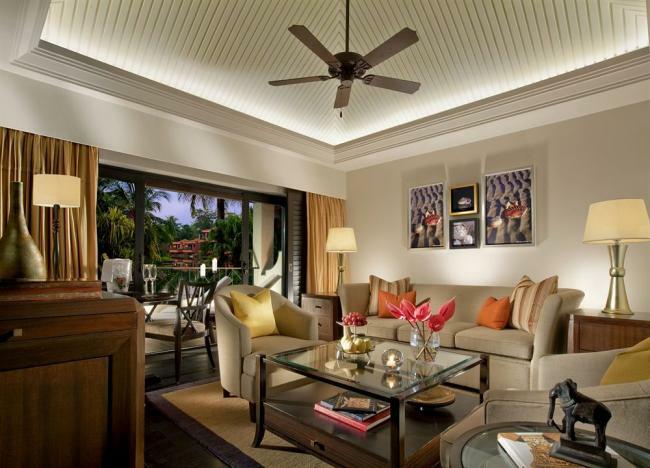 A private spacious sun terrace with a private plunge pool and jacuzzi will make you feel like a Head of State. 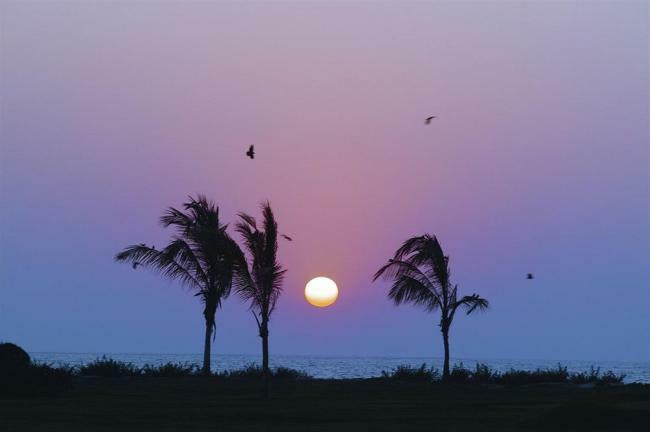 Goa is where the world comes together to celebrate life. 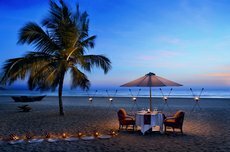 At The Leela Goa, they celebrate this miracle by offering you a wide variety of Goan restaurants and lounges, each one of which is perfect of one of the many moods of Goa. 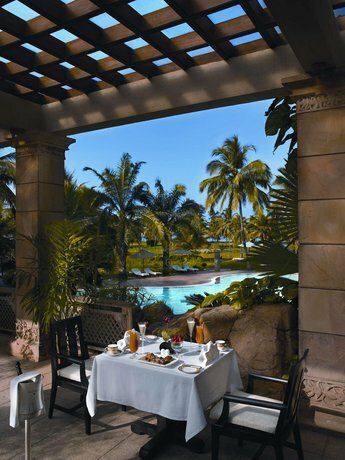 Nestling amidst the deck chairs and sun umbrellas by the free-form pool, The Café is for easy dining at The Leela Goa. 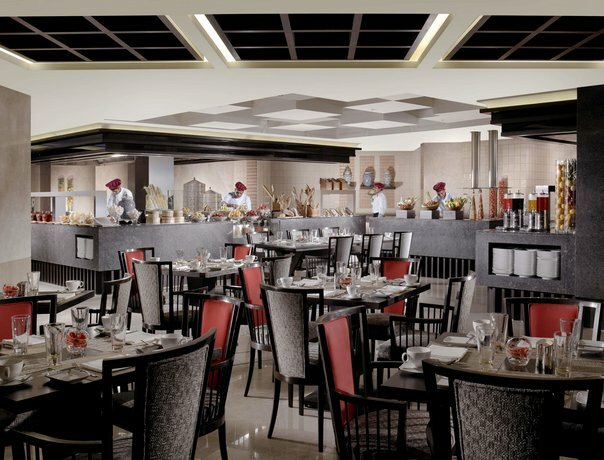 The Café serves a heady mix of Western, Asian and local delights. 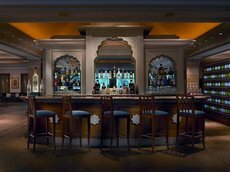 If you do choose to sit on the upper level, do sit outside - the sweeping views of the resort go very well with a drink or two. A lucky few get to spend a night being sung to by a murmuring river. At The Leela Goa, they also get to dine, serenaded by its song. 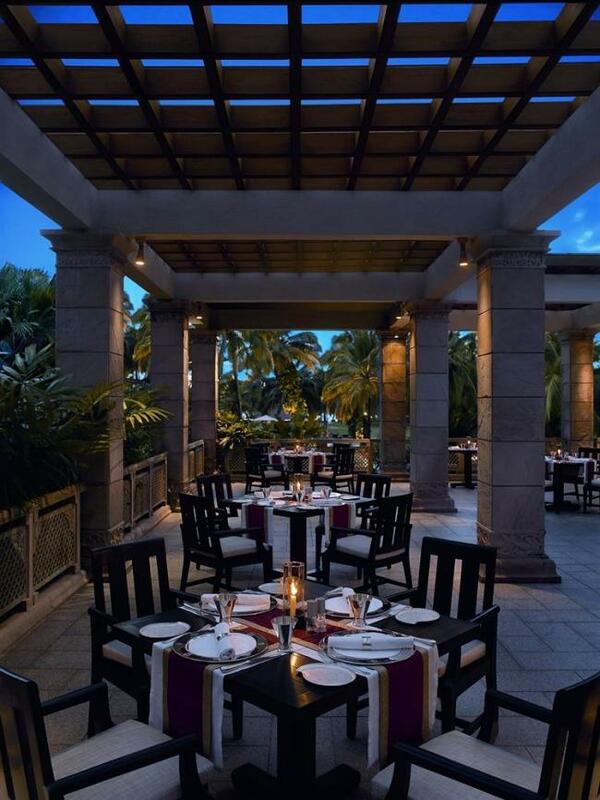 Set up on an open terrace by the Sal River, Riverside let's you enjoy moonlit moments with a loved one. 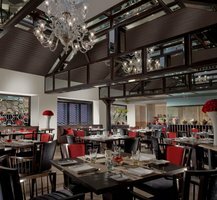 And if that wasn't romantic enough, you get to add intoxicating Italian cuisine to the mix. 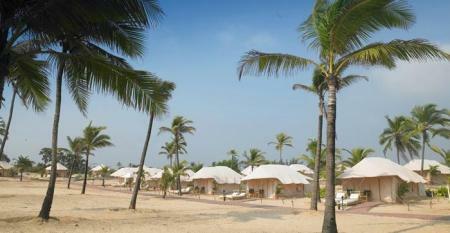 The Portuguese might have gone, but they've left behind a love for the good life in Goa. 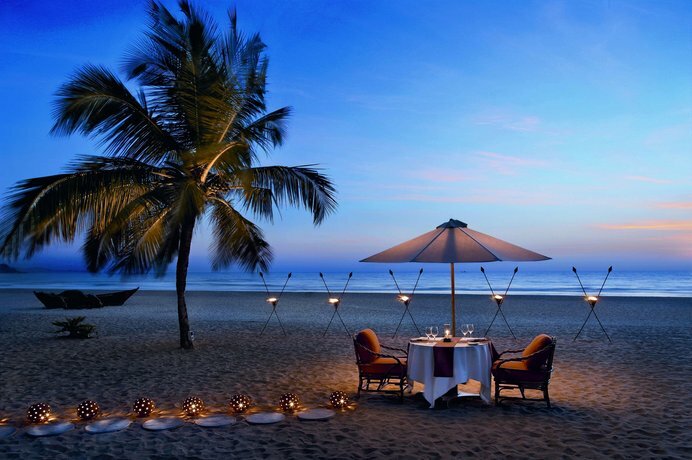 Meaning "Relax and live a little" in local Konkani, Susegado is the most elegant seafood grill beach restaurant. Susegado serves not only the freshest catch from the seas, but also well-grilled meats, washed down with their special frozen cocktails. 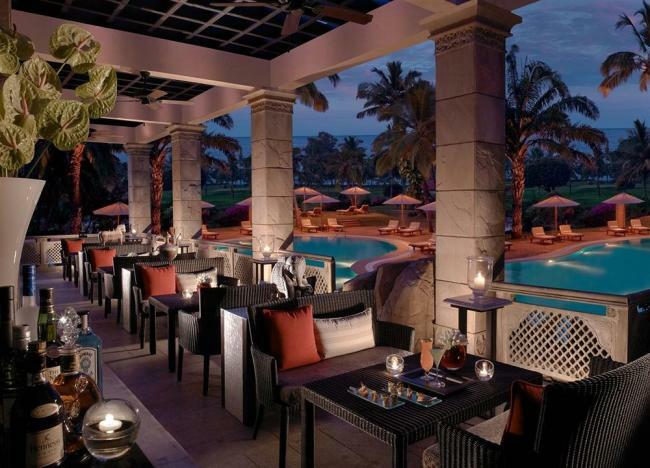 Stride through the Vijayanagara Palace lobby at The Leela Goa and you can't miss the Yali Lounge. Under majestic domes that hark back to the glory of the ancient rulers, this lounge overlooks beautifully landscaped waterfalls, tropical gardens and lagoons with soothing live Indian musician adding charm. 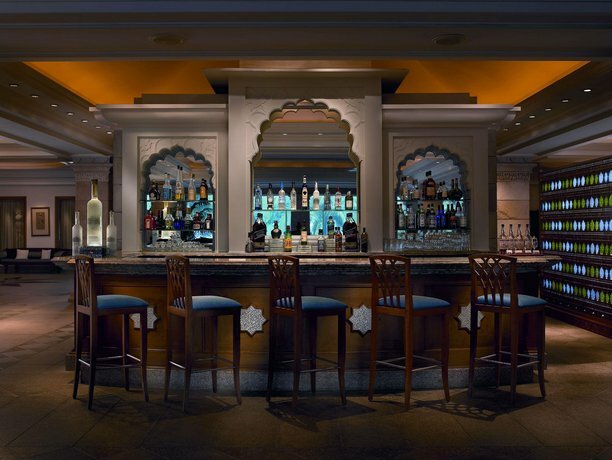 Whether tea in the afternoon, cocktails in the evening or cognac and cigars after dinner, the Yali Lounge is the perfect place to appreciate the hand-picked treasure of antiques, each an original. 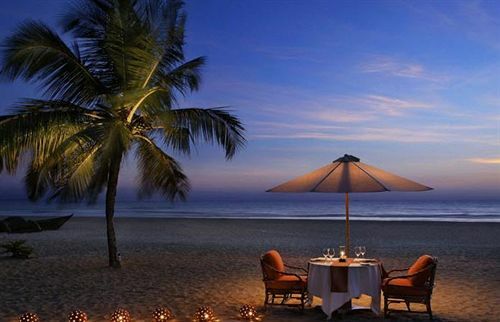 You're never too far from a party in Goa. 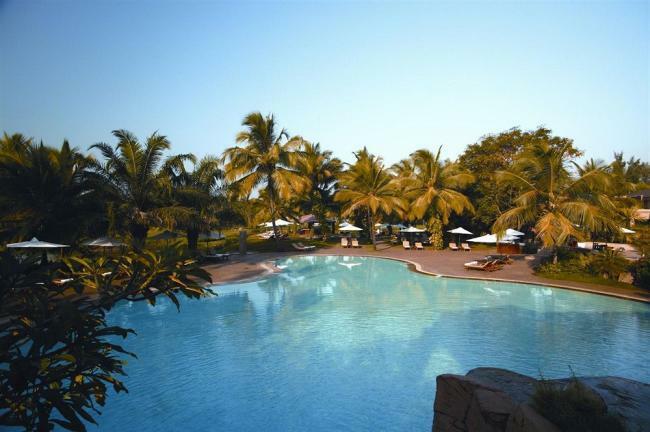 And that's especially true at The Leela Goa, thanks to Aqua, the entertainment lounge. 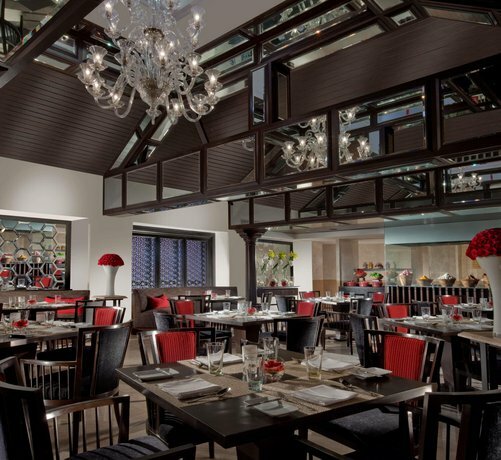 A meeting space by day and a discotheque by night, Aqua can easily accommodate over a hundred party animals at one time! 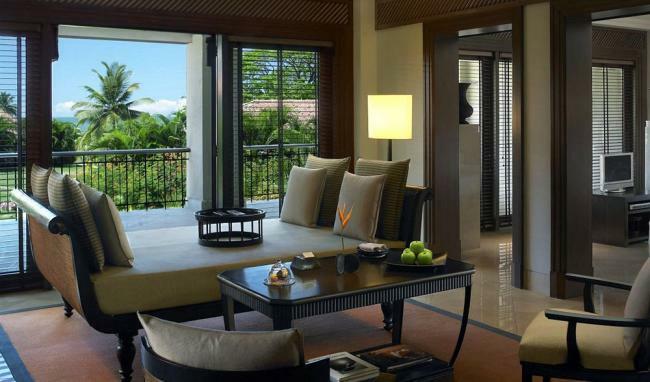 Apart from semi-private lounges and a cigar divan, Aqua also boasts a spellbinding sound-lights-laser experience! Cocktails and refreshments are always on offer by the poolside at The Leela Goa. 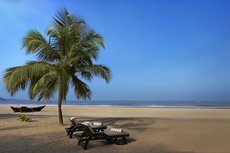 The Leela Goa provides a well-rounded environment for meetings and incentives - and the perfect retreat from the distractions of the city. 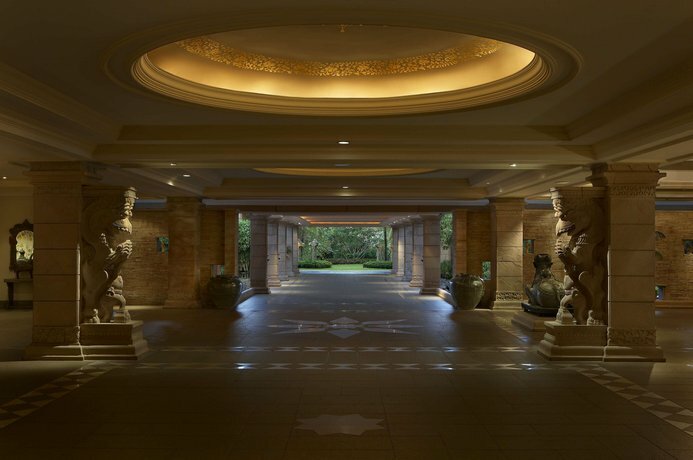 Alongside catering to the specific business requirements of groups, the resort also offers ample recreational and sightseeing opportunities for accompanying families. 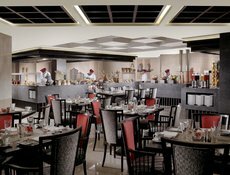 The Leela Goa's conference and meeting rooms can accommodate up to 400 people according to the choice of venue and seating configuration. 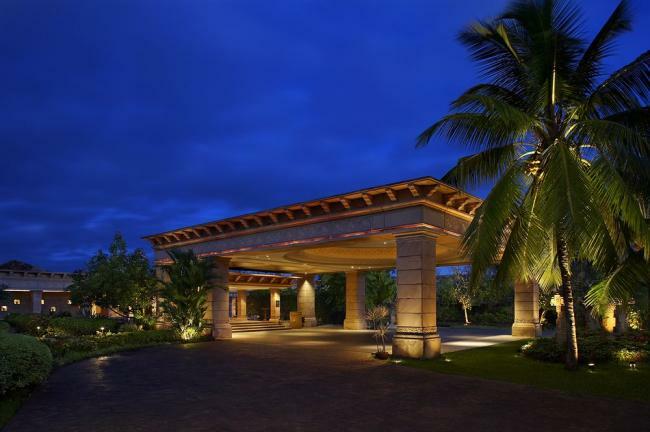 To organize Meetings & Events there are various Conference sites at the Palace like Aparanta, Hampi, Bidar, Badami, Aparanta Lawns, Leela Lawns. 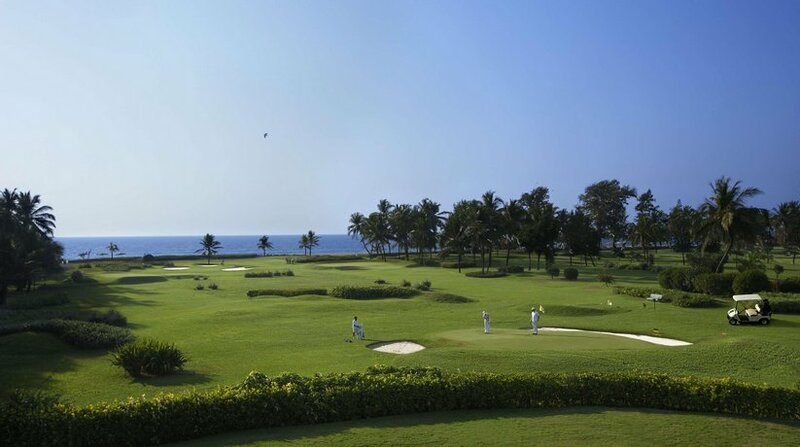 The 12 hole, par 3 golf course at The Leela Goa is one of the best amateur courses in Goa. 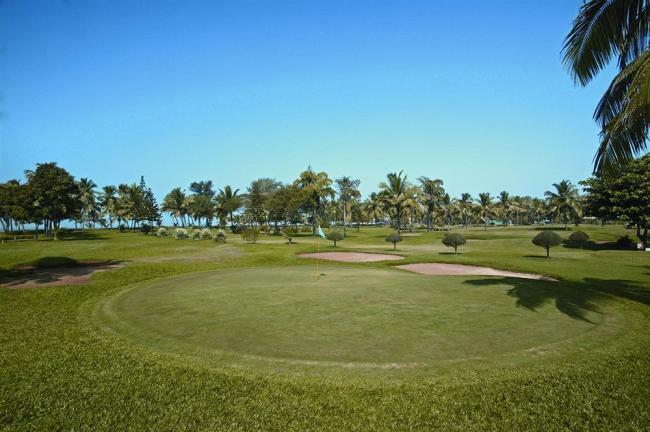 This pitch and putt course is set among beautifully landscaped gardens overlooking the beach. 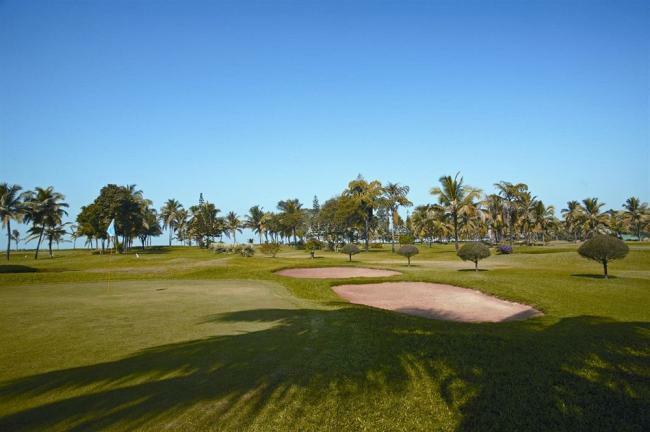 Here golf enthusiasts are encouraged to sharpen their 'short game'. Along with golfing lessons, they also provide equipment and caddies to guests. Along with the temperature, the stakes also get raised, thanks to the 24 hour Casino at The Leela Goa. Walk into this high-rollers' paradise and lose yourself amongst the slot machines, roulette and derby games. Try a hand or two and Lady Luck might end up shaking hands with you. The in-room facilities at The Leela Kempinkski Goa are some of the finest and most extensive services and facilities to be found in a Goa beach hotel. 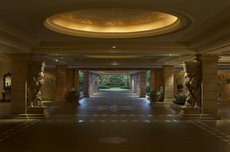 The Spa aims to create just an oasis of calm where every sense is revitalized and where old and new arts of rejuvenation are practiced by experienced professionals. The Leela Goa's Spa is renowned for its extensive selection of professional Ayurvedic therapies and services. An in-house Ayurveda doctor and an expert team of therapists ensure guests have a genuine and rejuvenating Goa spa resort experience. 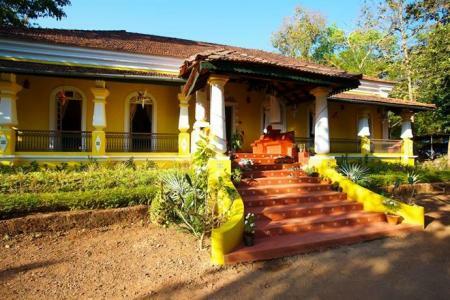 An Ayurvedic full body traditional massage Abhyanga, Indian Magic and the hot Stone Massage are signature therapies of the Spa and are highly recommended for the ultimate in stress-relief and relaxation. 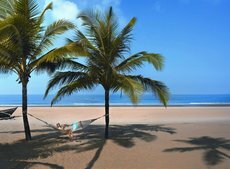 Reflecting Goa's unique mix of Eastern and Western traditions, the Spa also offers massages and treatments from around the world, as well as daily yoga and wellness sessions , steam rooms, saunas and a fully equipped gym. The spa also offers specially tailored treatments and packages for 3 days, 5 days or as per the individual's requirement or as per the recommendation of the specialist Ayurvedic Doctor available in-house. Rediscover everything you desire in this beach-front 5 star hotel in Goa! 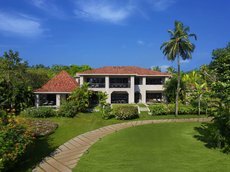 Zuri is an ideal location which can pamper you with its finest indulgences - a secluded honeymoon, total rejuvenation, a feast of traditional cuisine, incredible entertainment, or simply the lure of warm Goan hospitality. 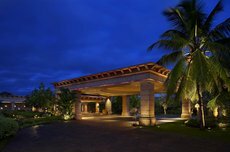 Alila Diwa Goa brings a refreshingly unique resort experience to Majorda Beach. Relaxation reigns here amidst a serene landscape of lush, verdant rice plantations.